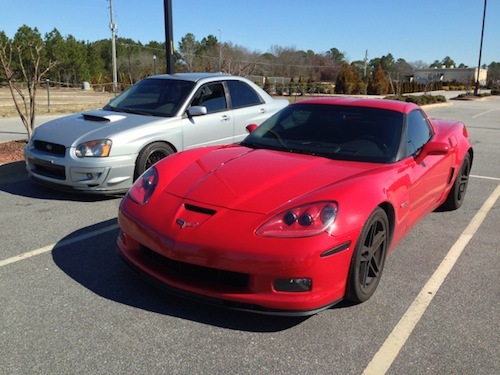 A monthly gathering of car enthusiasts in Cumberland County, NC. 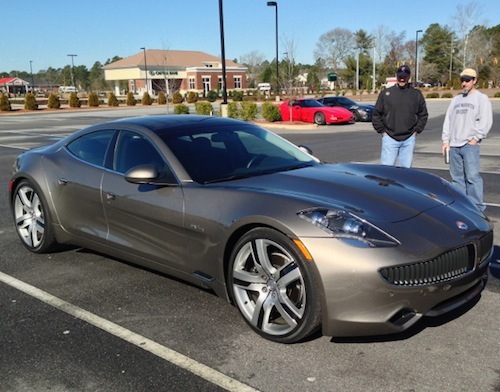 A rare Fisker Karma makes a Cars and Coffee appearance. The Fisker’s owner plans to convert the car to a gasoline-only model when the EV system dies. What a difference a day makes. Friday was wet and cold, with snow mixing in at times. 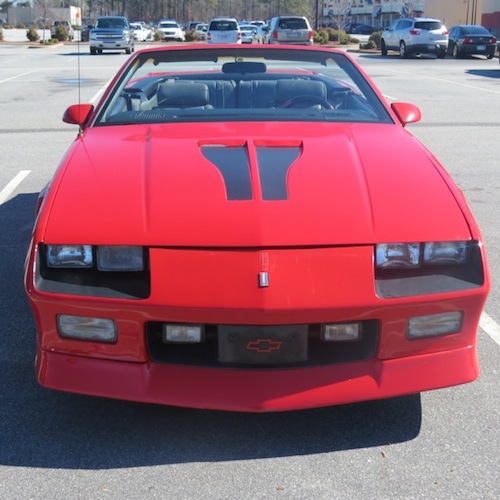 Saturday started off cool, but quickly warmed up with an assortment of cars descending upon Millstone Town Centre for Cars and Coffee Fayetteville (NC), a monthly gathering of car enthusiasts and their rides. I was joined by my two teenage sons, Thomas and Andrew, lured out of bed early with the promise of breakfast on the road and a few bucks for helping Dad out with pictures and notes. Taking us there and back was a 2014 Dodge Durango Limited, a weekly loaner with generous amounts of room and ample power for the 160-mile round trip. It was our first visit to the Fayetteville event, sandwiched between one in Cary the first Sat. of the month and a new Raleigh event starting up this month, next Sat. to be precise. A silver Corvette was one of a handful that showed up. The Fayetteville gathering meets faithfully on the second Saturday of each month, year ’round. It is a small group of enthusiasts numbering 80 to as many as 100 during some months. If a special event is going on, such as a car-related movie, the numbers swell to more than 200. On Sat., fewer than 50 cars were on the lot, an assortment of classic Volkswagens, sports cars, tuner models, and one Fisker Karma. Jessica Hullender organizes the Fayetteville group and spoke with Auto Trends briefly. The group started gathering about five years ago, composed mostly of friends of the original organizer. Unhappy with its low turn out, the responsibility for planning and managing the event was turned over to Hullender, a business manager with the Cumberland County Public Library. She launched a Facebook page to help spread the word and the crowds began to grow. 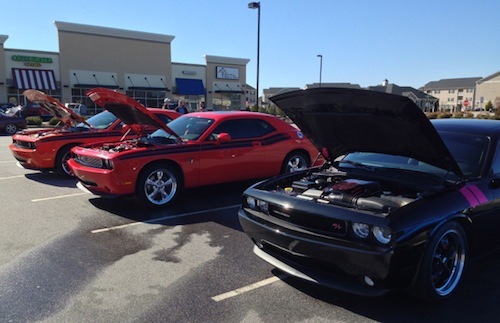 Its hoods up for three late model Dodge Challengers. Next Sat. 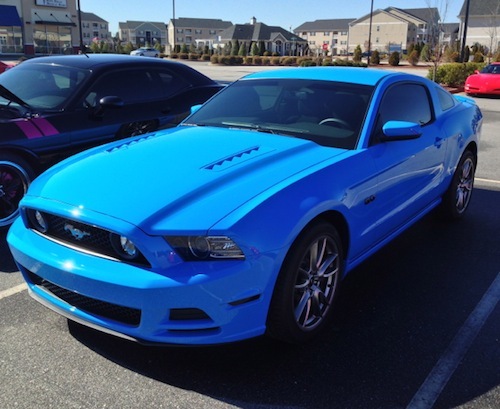 (March 15, 2014), an extra Cars and Coffee gathering will be held at the Fayetteville location. As usual, the lot will begin receiving cars at 9 a.m. Instead of continuing until noon, the group will stop early to take in a special 11 a.m. showing of the “Need for Speed” movie at the Millstone 14 theater where the monthly meet is held. Cars and Coffee Fayetteville has arranged for a special screening and discounted ticket pricing. Other special events are planned from time to time. 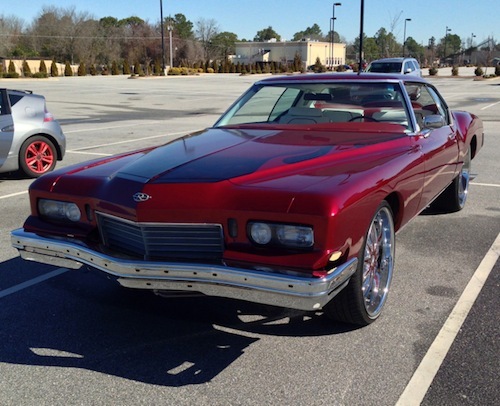 The owner of this modified 1972 Buick Riviera is looking to sell it. Special wheels and new seats are among its many updates. 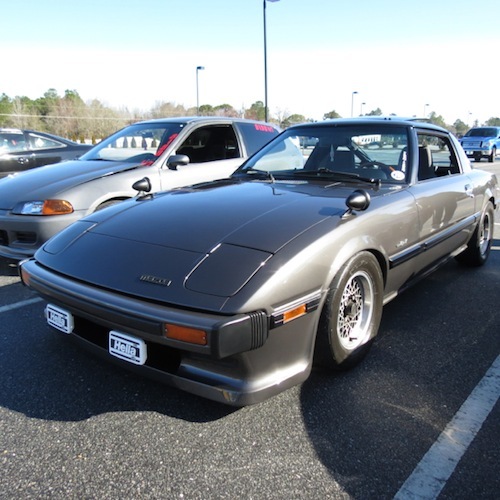 A Mazda RX-7 outfitted with Japanese-spec side mirrors. 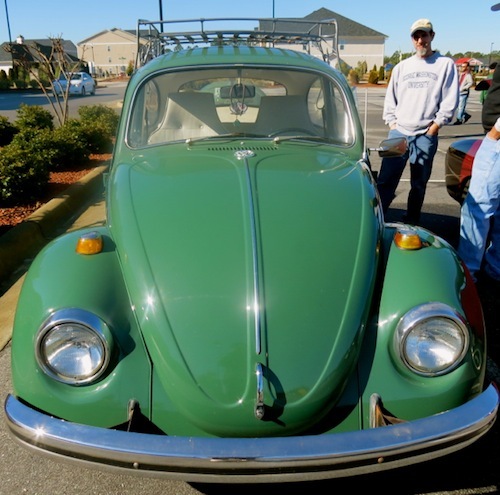 Both a Beetle and a Karman Ghia represented Volkswagen this month. Corvettes, Challengers, Mustangs & Camaros were dominate with few European makes present. A 5.0-liter V-8 is ready to come to life under the ‘Stang’s hood. Warming temps are an invitation to drop this Camaro’s top. And down it went.